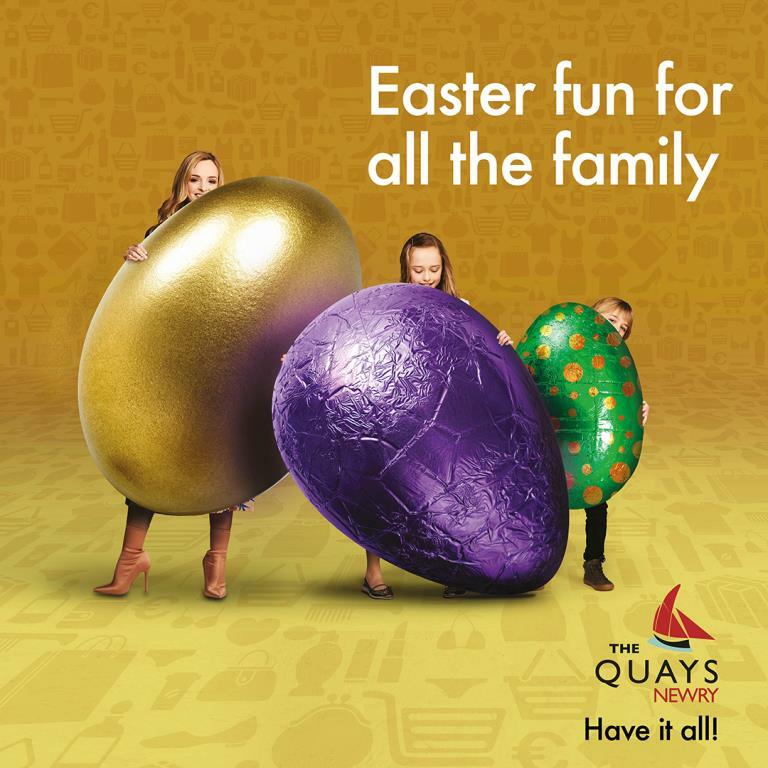 Join us this Easter at The Quays for a whirlwind of fun activities for all the family! On Easter Saturday from 12:00 to 16:00 we have face painting, our fabulous kid’s club, a visit from the Easter Bunny, a DJ and a HUGE Easter egg giveaway! The centre is closed on Easter Sunday, but we have plenty of fun activities on Monday and Tuesday. On Monday, there is cupcake decorating on the mall between 12 and 4! And on Tuesday, from 13:00 to 16:00, we have an indoor bouncy castle, nail painting and more face painting! There is so much fun to be had over the Easter holidays at The Quays. Keep an eye on our social media for some Easter outfit and home inspiration! And also, some surprise appearances from local bloggers Niamh Cunningham and Tara Doran! With over 50 stores and plenty of activities, you are sure to have the best family day out at The Quays Shopping Centre.